Gartner says that 6.4 billion connected “Things” will be in use in 2016 and 43% of organizations are using or plan to implement IoT this year. But the reality is that over two-thirds of IoT projects will fail, according to IBM. How can you become a winner? This presentation examines and pinpoints the critical challenges in this evolving space. We will dissect the key barriers in the current IoT initiatives, leading to the new trend of Internet of Applicable Things (IoAT). The characterization of IoAT is differentiated in comparison with traditional IoT: contextual, instantaneous, relevant, containerized, actionable, secure, automated, and manageable. We then walk through a sophisticated maturity model in ADOPT stages to prescribe how to strategize and operationalize an iterative IoAT journey to progress incrementally. Best practices and lessons learned will be discussed in the session. 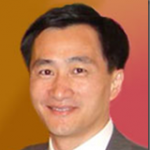 Tony Shan is a renowned thought leader and innovative visionary with decades of field experience and guru-level expertise on cutting-edge enterprise computing technologies. He leads incubating and nurturing interdisciplinary practice and enablement on emerging technologies like IoT, big data and cloud. He drives award-winning innovation and transformation of most complex enterprise systems. He directs and advises the pragmatic lifecycle design of large-scale distributed solutions on diverse platforms in Fortune 500 companies and public sector organizations. He is a regular speaker and chair in preeminent conferences, and a judge in IT contests. As a book author and editor/editorial advisory board member of technology research journals, he also founded several user groups/forums.